The American public has been treated to a potent mix of musical chairs and a constant stream of members of the President’s cabinet and other staff, leaving office in the last two years. Investigations thus far have shown that loss of political and financial integrity is widespread, making association with the USA undesirable. Not to be outdone, several state governments, including our Wisconsin government have openly gerrymandered the voting process to make the results disproportionately favor the Republican Party and simultaneously suppress the Democratic vote. They also passed laws limiting the Governor’s power’s as they have done in Michigan and three other states, in identical fashion. All this in a country that prides itself for championing Democracy in its chaste form ! With this experience I can understand the temptation to blame Democracy itself to be the problem, and the temptation to seek a sterner, more despotic government to prevent this failure of government. A Strongman or despot may seem better. But the checks and balances of a mature liberal Democracy, limit the damage and usually prevent it from becoming permanent. Moreover, as with Mr. Trump, he is restrained by laws, a free press and a professional civil service. In 2019 a hostile House of Representatives will obstruct and investigate the White House with the intent of exposing and correcting the happenings of the last two years. Elections follow and if the public does not like record of the present administration’s, actions it may chose to change it. One cannot count on a similar phenomenon in China, Russia, Egypt, or other places where liberal democracies do not exist. When you consider the stakes for a liberal Democracy you see the risk when a political party or group plans on stacking the judiciary of the Supreme Court, or State Court with judges, who are kind to one philosophy or muzzling successful journalists, who are guardians of the security of our system of checks and balances. And lastly to resist any effort to blame our economic, social or other ills on an ethnic, social or religious group. Our problems with Immigration Law and abuse of Mexicans, Muslims, and others provide glaring examples of unacceptable behavior. 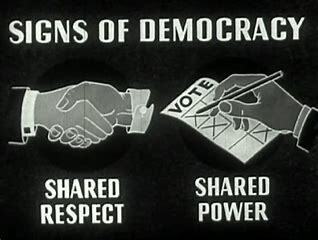 Let us all keep these ideas in mind to preserve this beautiful thing we call DEMOCRACY!